its forests, waters, and wildlife. programs, and cozy social events. who have helped our club adjust. We became very creative in finding and establishing new fundraisers to secure the future expenses of our educational programs, the civic beautification projects, and the workshops for our senior citizens. We worked together with Richard's daughter, Lisa, to have a very successful plant sale with all the plants that Richard grew. We are very grateful to Lisa for sharing her father's legacy of plants with us. Prepared for our participation in the Edgewood Thanksgiving Fair & the Holiday Fair at Brightview. Thank you to all members for your outstanding engagement, for the creativity you shared, for the work you have done, and for the amount of time you gave to our club. encourage your new friends and neighbors to take part in our upcoming programs. 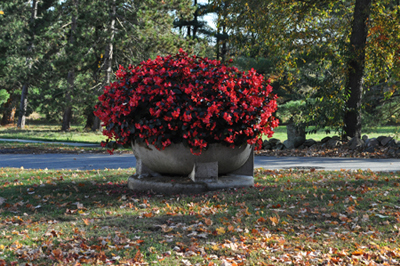 In the pamphlet entitled “History of the North Andover Garden Club”, written in 1949 by Kate Hastings Stevens, we see how the early members of the garden club contributed greatly to not only the club’s growth and cohesiveness but also the development of the larger community of North Andover with their creative foresight and personal resourcefulness. 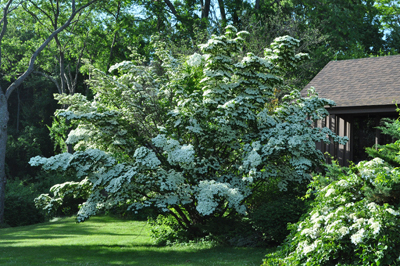 A History of the North Andover Garden Club1 would not be complete without a description of the background from which it developed. The first gardens of old Andover were dooryards enclosed by picket or rail fences. Their small area was filled with syringe and rose bushes and sweet-smelling flowers such as lavender and peonies. Usually there were two shade trees, one on either side of the gate. Of such a garden one catches a glimpse in Miss Bailey’s history of Andover 2, where a photograph of the Phillips Manse (building 1752), taken before the dooryard fence was torn down and the piazza added, is reproduced. The remodeling of the house was done after the deaths of Miss Caroline and Miss Susan Phillips 3 in 1883. In 1884 Bishop Brooks became is owner, and H. H. Richardson, architect of Trinity church in Boston, drew plans for the alterations which brought the house more nearly in keeping with current living demands.